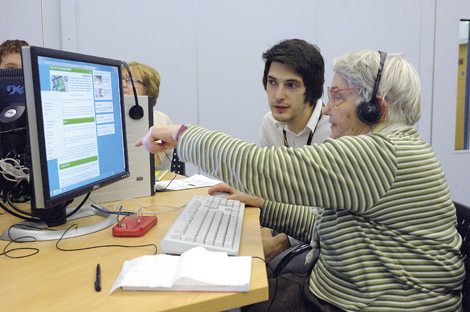 We co-ordinated a partnership approach with students from a Swansea secondary school and tutors from Swansea City Council’s Life Long Learning Team to help older people and online novices understand how digital technology can be useful to them. To be highly commended from Digital Unite is great news as they are passionate about supporting people to realise the benefits of using technology. They are also working to ensure everyone has accurate, easy to understand information about what they might find useful and why. The event we arranged to support the Digital Unite campaign was a great opportunity for us to make a positive contribution to our local community and enhance our reputation. In doing so, we created an increased awareness of our digital services and also supported the digital by default agenda which is an underpinning principle of our business. The latest Office of National Statistics figures show that over 7 million people have never used the internet, and of those 6.1 million are aged over 55 years. With more government service being delivered online, having good digital skills is becoming essential, but our event also showed an assisted digital approach. Campaigns such as Spring Online have never been so relevant.